Photo above: Map of bushfires in Central Australia earlier this week. Bottom: Peter Latz, native grasses in the left of the photo; thick buffel on the other side of the fence. Massive rains last year boosting exceptional plant growth made it inevitable that 2011 would be a major year for bushfires – but authorities are still gearing up to cope with them. The fire west of Alice Springs is still burning out of control, but no longer in the immediate vicinity of the town. Matt Braitling, from Mt Doreen Station, the chairman of Bushfire NT’s regional council, says the fire fighting effort had to focus on protecting assets, including Aboriginal outstations at Bond Springs and the Golden Mile just west of the town, either side of Larapinta Drive leading to the West MacDonnell Ranges. Despite early warning that the region is facing the worst fire season in 10 years, Bushfires NT, the government instrumentality charged with protecting the community from disaster, is still getting up to speed. Mr Braitling says staff are still being hired to get the complement up to about six. The government has only just re-appointed people to the council, and it has not met recently. The number of fire fighting vehicles in the southern region – half a million square kilometers of the Northern Territory south of Tennant Creek – should be increased from three to four, he says. There should be more and better equipment for volunteers, about half a dozen people at the moment. More should be encouraged to join. There is only one grader in the whole region for cutting fire breaks and “burning back” – the major strategy for fighting wildfires. He says it’s difficult to hire privately owned graders “to put out in the middle of the scrub. “A lot of people really don’t want to put their $250,000 or $300,000 machine out there. “The problem we have, who is going to pay for the vehicle, if it is burned, to be fixed or replaced. Volunteers and Bushfires NT staff fought hard and bravely in the past weeks, but at times the “vollies” could do with more understanding from their employers, when they turn up for work tired or late after a night of fighting fires. Mr Braitling says most fires are deliberately or carelessly lit, at the roadside, by travelers. There has not yet been any lightning – a frequent cause of fires later in the season. Mr Braitling says the satellite based North Australian Fire Information website is a “godsend” and has been providing valuable real-time fire information since about 2000. Meanwhile according to one of Central Australia’s most eminent wildfire experts, botanist Peter Latz, the massive blaze last week burning right up to the western edge of Alice Springs is no surprise but came a bit earlier than expected. The author of Bush Fires & Bush Tucker and The Flaming Desert says the fire will probably protect the town from a much worse one later in the year. Dr Latz says the ferocity of the fire was caused mostly by buffel grass, introduced as a dust suppressant by the CSIRO decades ago, and now covering much of Central Australia. He says the last big fires were only a decade ago and mulgas need 25 years to regenerate. Dr Latz says control burns had been carried out in the park: “I don’t know what went wrong there,” he says. “What worries me more, we’re going to end up with very few hollow trees. “The first trees that burn down are trees with hollows in them, where birds nest and possums hide out. 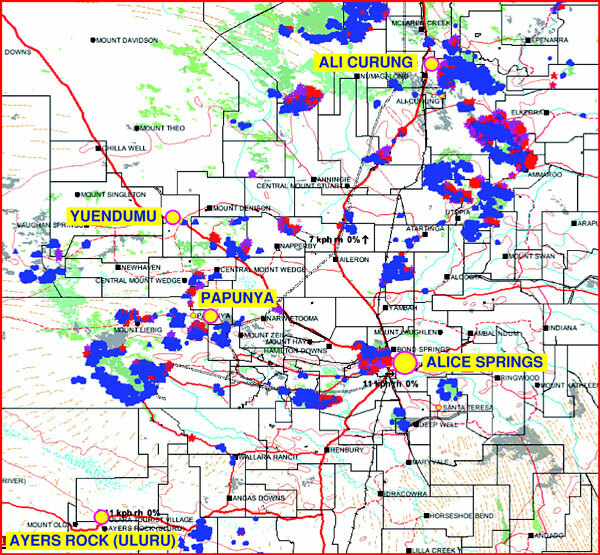 Had mosaic burning been done west of Alice Springs? “Not as much as could have been done had the government made more money and staff available, but I can’t point the finger at anyone. “”There’s no blacks and whites in what we’re talking about, I’m afraid. “You can always do more, but unless you burn every square centimeter of Central Australia you are going to have fires. “There is no way you can guarantee that you have enough fire breaks in a year like this. They don’t work in a year like this,” says Dr Latz. “In 2001 the Stuart Highway had been mowed on both sides, 150 metres wide, but the wild fire jumped in two or three places. Biological control is now the only answer but pastoralists “are very much against it,” says Dr Latz. District Officer of the NT Fire and Rescue Service, Dave Pettit said on Friday the blaze west of Alice had been brought under control through extensive back-burning and clearing of fire breaks. “The success can be attributed to the combined efforts of Bushfires NT, NT Fire and rescue, volunteer firefighters, NT Emergency Services volunteers and Parks and Wildlife staff who worked tirelessly for the past couple of days,” he said. Over 650 square kilometres of country has been lost. The larger of the two fires originated on the Tanami Highway on August 8. This fire was contained on its eastern flank on August 9 by back burning a 10 km break along the rail corridor. The southern flank was contained in the early hours of Thursday morning by back burning along a five km fire break bulldozed through the rough and hilly terrain behind the Larapinta Drive subdivisions. Crews are still working to widen this break, said Mr Pettit. The fire to the west of Alice Springs that originated on August 9 in the Golden Mile area was contained on the eastern flank within the Simpson Gap National Park on Wednesday. At the peak of the fires, 57 personnel from the NT Emergency Services, local council and contractors were working to gain control of the fires. Over the course of the events, about 900 man hours were committed toward fire fighting and support roles, Mr Pettit said. I was greatly saddened by the appalling bush fires in the Alice Springs area, as my partner and I lived there several years ago. 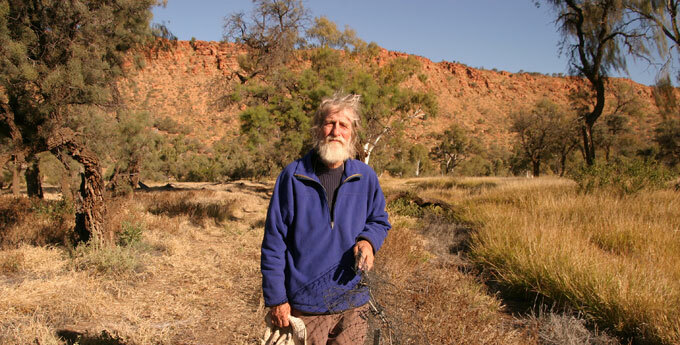 At that time, people in the area were concerned about the dangers of buffel grass, and its propensity for overtaking native grasses … and they have been proved right. Not only is this grass an invader, but has now been proven to be a danger to human life – especially after a very wet season. As usual, nothing was done about it until too late, and in the present hot/dry conditions it is probably thriving and presenting an even bigger risk for the coming fire season. Be prepared, and start an eradication program ASAP.